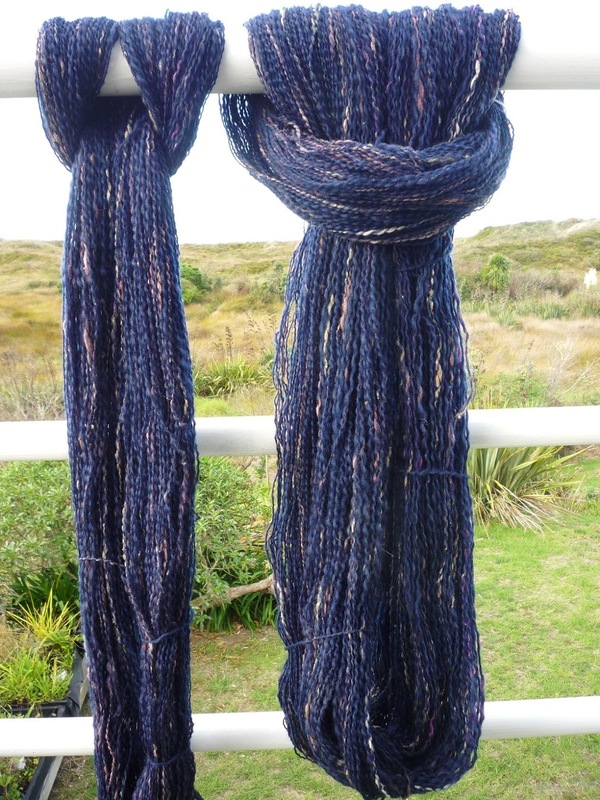 I talked about this lovely corriedale/silk sliver I spun trying to get a 5 ply or sportweight as some folks call it. 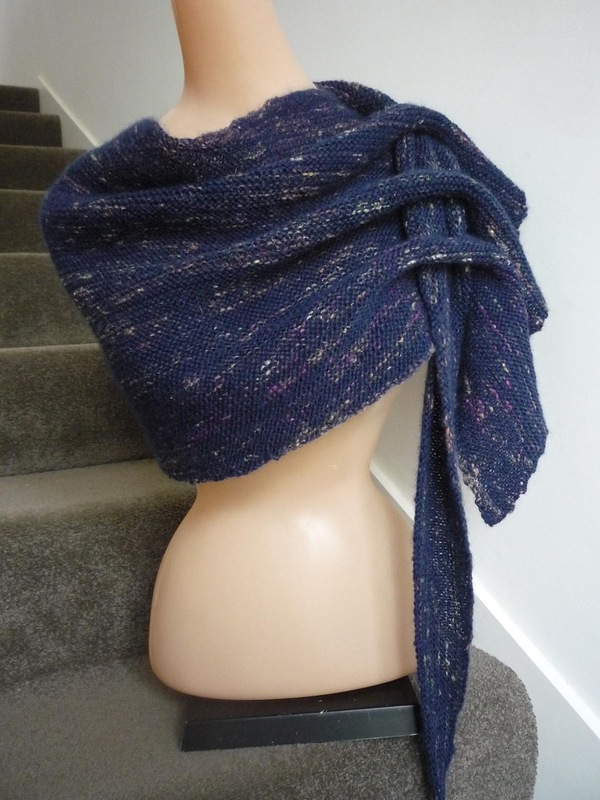 It knitted beautifully into this Pfeilraupe Wrap which is free on ravelry, thank you. In the past the wraps I've knitted have been too short so this time I cast on an extra 50 or so stitches (can't remember exactly) and instead of short rowing 5 stitches then 6 stitches I did the calculations so I could short row 6 stitches each time and keep the increase rows and slot rows as per the pattern. Its an interesting pattern that needs reading right through before you start. There is enough information with the instructions and charts for it to work, you just have to keep all sections in your head at once. I shall enjoy wearing this when the weather cools down. Its mid winter and still too hot for woolies. That is one beautiful scarf Diane! 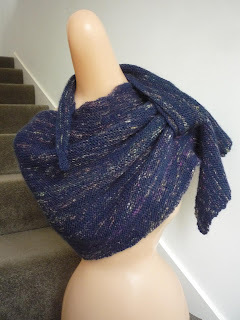 I looked up the pattern and it's one I'd like to try too with some of my handspun.